Trainer Mike Moroney is not concerned by Derby contender Arrogant’s stargazing gallop at Randwick. Chapada remains favourite for the Australian Derby with his Mike Moroney-trained stablemate Arrogant a market drifter after a less than flattering gallop at Randwick. But Moroney admits he may have erred with Arrogant’s gear before Tuesday’s hit-out on the course proper and punters should not read too much into it. Arrogant and Chapada finished second and third behind star colt The Autumn Sun in the Rosehill Guineas and were at $5 and $6 respectively before Tuesday’s barrier draw. Victoria Derby placegetter Chapada, who drew 13, is still $5 with Arrogant (12) now in a group on $8. “Arrogant didn’t have his blinkers on and he’s a pretty lazy colt so you know I don’t think that I’ll take too much out of the work but certainly Chapada looked the best of the two,” Moroney said. “We put earmuffs on him when he worked with Chapada here on Saturday morning and was quite happy to lob alongside with him so we just thought he’d do the same today but obviously, out on the course proper, there was a bit too much to look at. Moroney operates stables in Melbourne and New Zealand with Arrogant earning an Australian trip after an unlucky fourth in the NZ Derby. “Arrogant has come off a tough campaign and that’s got to stand by him especially if we get a bit of rain too because it’s going to be a tough mile and a half,” he said. “Chapada has sort of been aimed at the race and is on the way up and except for a bit of a setback, everything’s gone to plan and we feel as if he probably should have won the Victoria Derby. 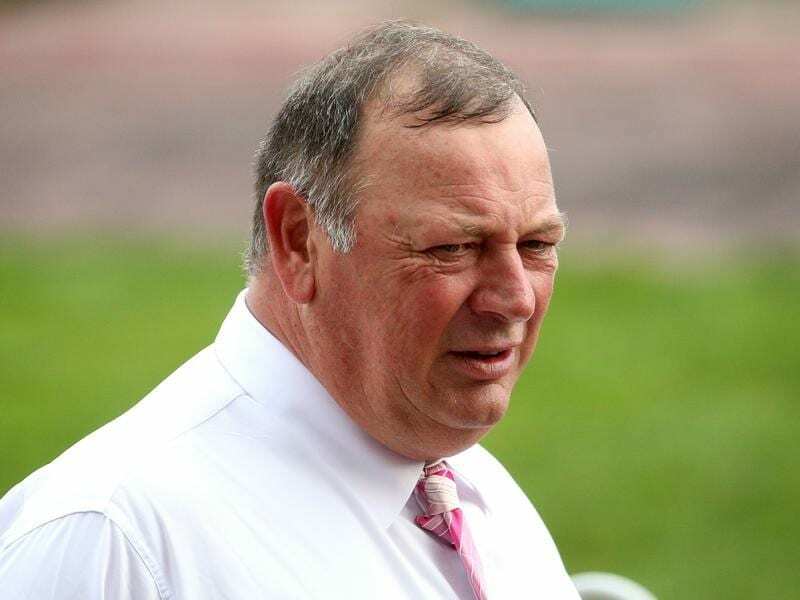 In the declared field of 18 plus one emergency, Moroney says filly Frankely Awesome will be one to watch – but in the end he says all will be at the mercy of the weather. “Really it depends on the track conditions because it’s going to be totally different to what they met at Rosehill,” he said. The Kris Lees-trained Frankely Awesome ($9) is the only filly in the field and earned her berth with her second to Verry Elleegant in Saturday’s Group One Vinery Stud Stakes (2000m).